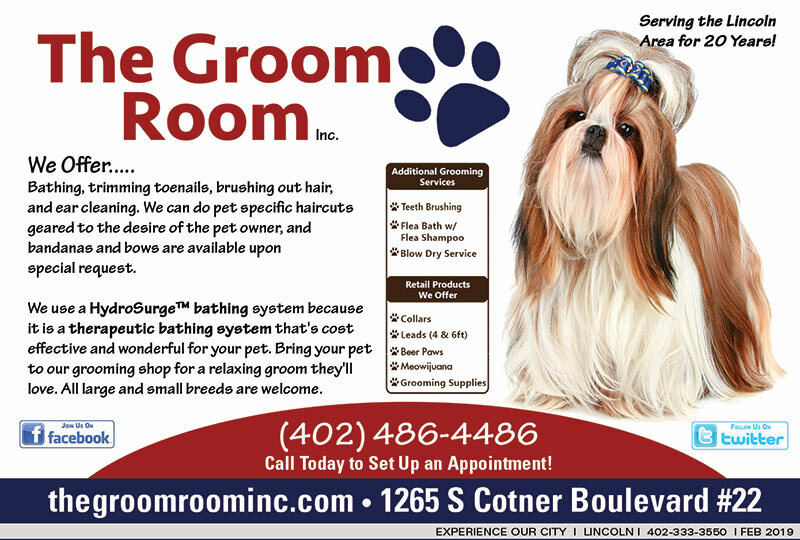 The Groom Room Lincoln, NE is Lincoln’s Pet Supply Store! (402) 486-4486 Visit Their Website! The Groom Room Pet Supply Store offers Bathing, trimming toenails, brushing out hair, and ear cleaning. We can do pet specific haircuts geared to the desire of the pet owner, and bandanas and bows are available upon special request. We use a HydroSurge™ bathing system because it is a therapeutic bathing system that’s cost effective and wonderful for your pet. Bring your pet to our grooming shop for a relaxing groom they’ll love. All large and small breeds are welcome.